designers Byron Chambers and Jonathan Kelley. This new office will focus on a wide range of project types and services including sports and entertainment venues, convention centers, aviation experience architecture, hospitality architecture, and interior design. The expansion is Populous’ fifth in the United States in recent years and supports Populous’ growth trajectory in the Americas. 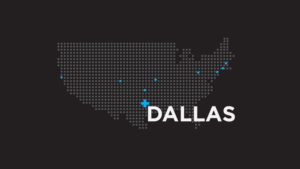 Chambers and Kelley, along with their team in Dallas, will be integral in connecting Populous to opportunities throughout the Southern United States as well as Latin and South America. Chambers and Kelley will lead a Dallas staff of eight, with the plans for Populous to continue to grow its presence much as it has done with other upstart markets across the Americas.